Anyone who’s ever had their identity stolen will tell you that it’s one of the most frustrating and costly events of their lives. 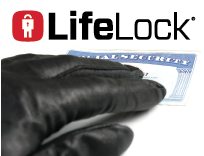 LMCU is proud to now offer LifeLock, one of the world’s premier data protection firms, at a great discount to our members. Check out how you can save both money, and your financial wellbeing. Sign up at any branch, call (616 or 800) 242-9790 or email members@lmcu.org.